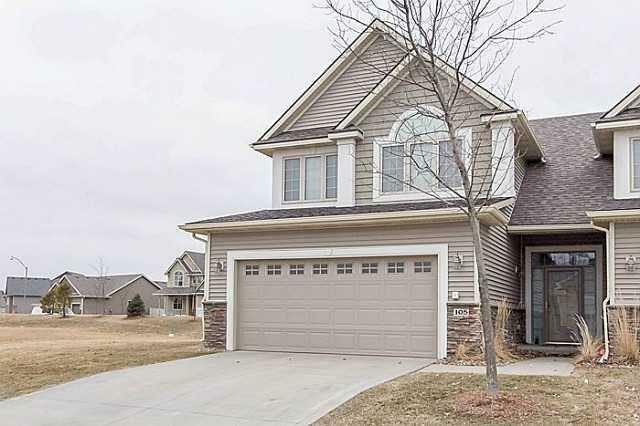 Come see this spacious 2-story end unit town home located near Jordan Creek Mall in WDM! With over 1,900 sf...this townhome feels like a single family home, but with all the amenities of townhome living, snow removal, lawn maintenance, exterior maintenance. Enjoy a large family room with a gas fireplace, large windows and spacious eat-in kitchen with granite countertops and SS appliances. The upstairs has 2 large bedrooms, 2 full baths, laundry and an extra bonus room that could be used as an office or 3rd non-conforming bedroom. New roof in 2018.